We are getting very excited!! 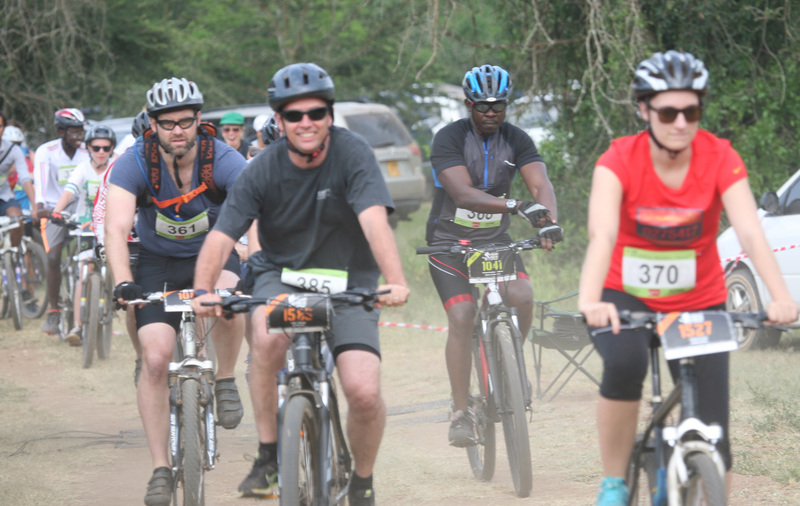 In less than 3 weeks it’s the 5th Mihingo Charity Run and Mountain Bike Race (Saturday 10th June 2017) so we hope you have got your trainers on and are ready for some fun in the bush! This year we are moving the start of our races and our campsite to a more magical position on the edge of the valley below the lodge. Ralph has just been there and only 100m away was a herd of 20 eland and 80 buffaloes, as well as zebra, impala and warthog all munching the wonderful green grass. He was organizing the position of bar, the camp kitchen, the loos and the showers. This year there will be plenty of water stops, clear directions, more accuracy with the timings (Activate Uganda), cold beers and good food. Please can all participants arrive at least 30 minutes before the race starts to pick up your bibs. We will get up early on Saturday morning and the first event to set off will be the Mountain bikes at 7.15 a.m. The half marathon and full marathon will start together at 7.30. The 10km will start at 8am and the 5km at 8.30am. If you have not already registered there is still time but PLEASE REGISTER AS SOON AS POSSIBLE at Banana Boat Kisementi or by contacting reservations@mihingolodge.com. All the money raised goes to support the Mihingo Conservation Foundation which is a project that helps to protect leopards and hyenas outside Lake Mburo National Park as well supporting Giraffe research in the park, and helping to fund nearby local schools. We look forward to seeing you for a lovely long weekend. On your Ugandan tour you can travel to Lake Mburo National Park and participate in this weekend event and continue to other national parks like Queen Elizabeth National Park, Bwindi Impenetrable Forest National Park, Mgahinga Gorilla National Park and Lake Bunyonyi Holiday. You can travel with very reliable tour operators in Uganda.